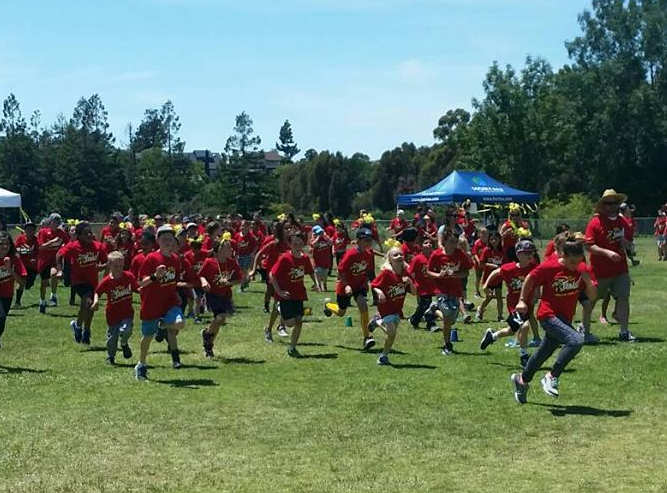 Our annual Walk-A-Thon promotes physical health, school spirit, and is a great opportunity for students to gain support from their community to achieve their goals! Sponsor a Super Stinger by making a tax-deductible Online Donation. 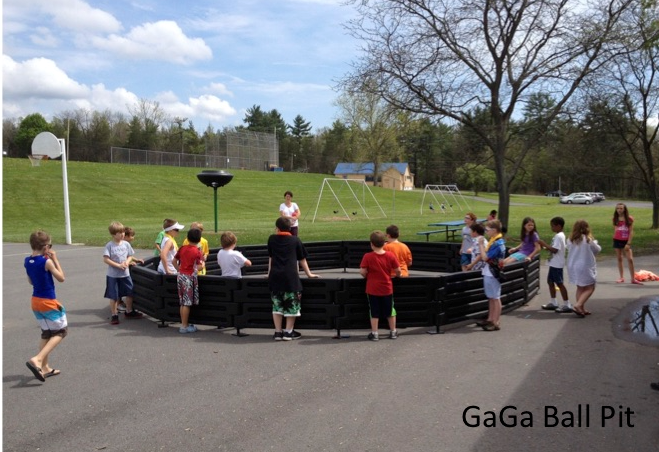 This year, if we are able to reach our goal of raising $10,000, we can purchase new playground equipment, including the coveted GaGa Ball Pit ! 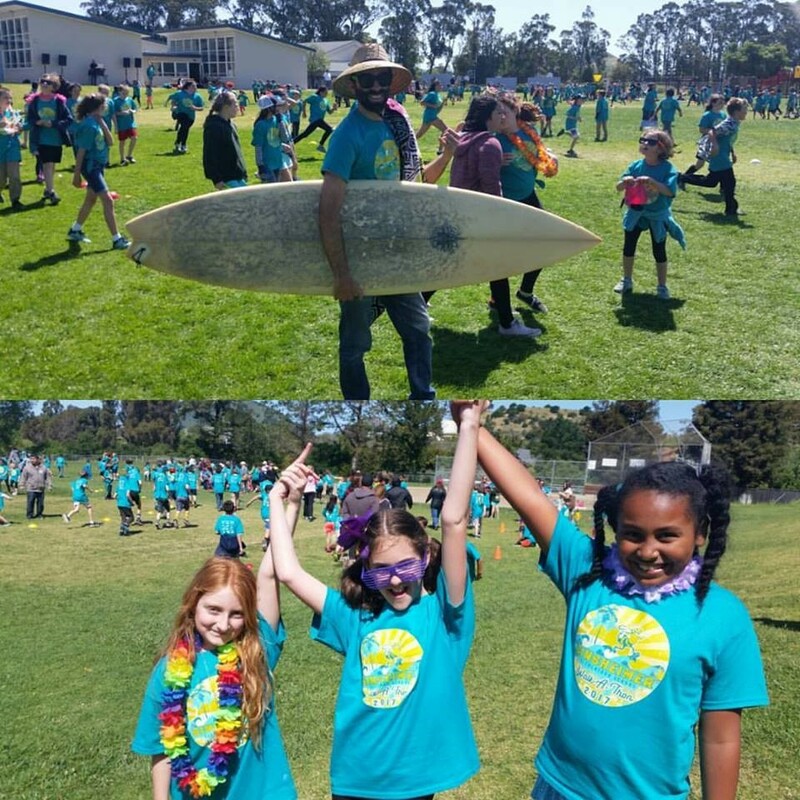 Additional funds raised from this year’s Walk-A-thon will support some of the many programs our PTA currently sponsors, including field trips and science camp, special events, classrooms supplies, technology upgrades, and more. Students are encouraged to ask their family, friends, and neighbors to sponsor them for the laps they do during the Walk-A-Thon. Please support and encourage your children in their fundraising efforts, as they gain so much in the process. They practice goal-setting, communication and presentation skills, and math and money management skills while building their self-confidence and connection to their broader community. People can sponsor a student with a tax-deductible donation of cash, check (made payable to the Sinsheimer PTA), or Donate online. To be eligible for prizes, the Sponsorship Envelope with ALL the cash and check donations must be turned into the FRONT OFFICE by TUESDAY, APRIL 16. Online donations must also be made by April 16 in order for them to be counted. Please sponsor one student at a time. Contributions are tax deductible – our tax I.D. number is 95-6206505. Download an extra Sponsorship Form. School-wide Prize: If students raise $10,000 together, the PTA will fund new playground equipment including a GaGa Ball Pit ! Classes that reach their collective lap goal will receive a Super Special Reward from their teacher! Each teacher will choose and announce the reward ahead of time. The classroom lap goal is based on students’ grade level and suggested # of laps. Examples: 4 sponsors = 4 tickets, 10 sponsors = 10 tickets. Raffle Prizes include: Insulated Water Bottles with the Stinger Logo, SLO Swim Passes, Talley Farm Harvest Boxes, Rockin Jump Passes, and more! The raffle drawing will be done during morning announcements the week after the walkathon. Volunteers and supplies will be needed to make this event a super success – please be on the lookout for a Parentsquare Sign-up notice in the coming weeks. Families are encouraged to sign this PTA-SPONSORED EVENT WAIVER FORM and return it to teachers by Tuesday, 4/16. Please send your children to school on WAT day with a filled-up water bottle, proper clothing and footwear, a hat, and sunscreen. Sinsheimer students will each receive a Super Stinger Walk-A-Thon T-shirt, with a space to record laps on the back. All are welcome to cheer on the students while they walk and run and achieve their lap goals! *We will begin this year’s Walk-A-Thon with a Warm-Up led by our amazing PE Teacher, Amy Erickson at 10:30am. Our new and exciting ⅓-mile course will be laced with bubbles, stickers, music, and at the end, fresh fruit to hydrate.